We just rolled out of one of our most requested new features in the form of support for using external Git repository providers. By default, a private Git repository is created together with a new project which uses the included Divio Git repository. This is all set up behind the scenes and when using the Divio Desktop tools, automatically configured for you on your local development environment. By default, all operations you perform are versioned in your project's own private Git repository. When uploading project files, the files are pushed and committed to your project repository. The Divio Desktop provides an easy way to manage your commits with the underlying Git-based repository. If you want to see detailed information on your changes, you can simply open a shell and use Git commands or use your preferred Git client. This provides secure and fine-grained control over aspects of your project and detailed insights into what is currently deployed across your local, test and live environments. As you commit your changes, the Control Panel provides a synchronised overview of the commit differences between what is deployed on your live or test environments and what has been comitted to your repository. What if you already have your preferred Git repo provider - perhaps using Github for all your projects and want to keep them centralised? The new support for external Git providers means you can now connect your preferred Git provider into the Divio platform with the same set of features as if you were using the included Divio private repository. You can choose to either set up your external Git provider during the new project creation phase or configure an existing project to use an external provider. If you are adding an external repository to an existing project, you simply need to pull any current changes to ensure your local Git repo is syncronised and then push to your new external repository before adding to your project. In order to smoothly accomodate your branching strategy, once you have added an external provider, you can choose to configure to deliver changes from a development branch to your test environment and release branch to your live environment. You can use your Git provider's webhook feature to inform the Divio platform when changes have been made to the repository. 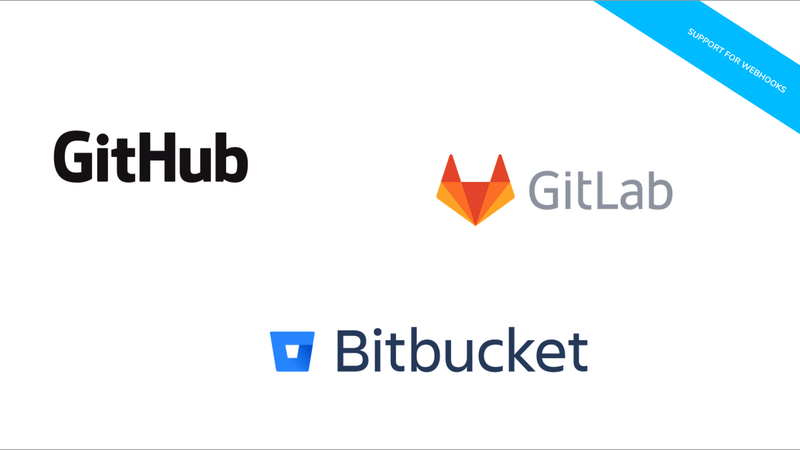 This allows any webhook-capable Git repository to be used to provide flexible and open-ended support for all providers. Together with the new Git support features, we have also launched a new version of Divio Desktop. Depending on your choice of development platform, rather than occupying your dock or taskbar, the new Divio Desktop now resides in your menu bar. This logically puts it together with Docker and leaves more room for your existing and active development tools. The new minified design streamlines the workflow to focus on the current project at hand and provide a cleaner interface for managing your project. Setting up and configuring an external Git provider is covered extensively in the Divio Developer Handbook and also available as a quick start guide if you prefer to jump right in. The external repository feature is available now for all plans - including our free plan! You can create a free account in a few moments - no credit card required.